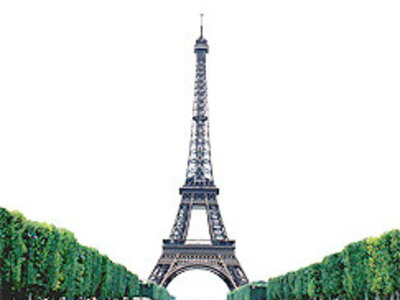 Named after its designer, engineer Gustave Eiffel, it is the most visited monument in the world; 6,428,441 people visited the tower in 2005 and more than 200,000,000 since its construction. Including the 24 m (78.7 ft) antenna, the structure is 324 m (1063 ft) high (since 2000), which is about 81 stories. 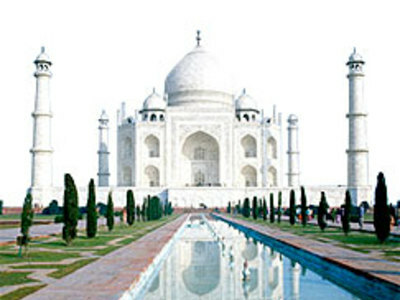 The Taj Mahal (sometimes called "the Taj") is generally considered the finest example of Mughal architecture, a style that combines elements of Persian, Turkish, Indian, and Islamic. The Taj Mahal was not designed by a single person. Construction began in 1632 and was completed in 1648.